When you establish a great startup financial model, you’ll be able to raise money from investors, get loans from banks, and much more. Proving your business is sustainable is key to gaining support. How do you create a good financial model? These steps will help! What, exactly, are you trying to show? A financial model shows how your company works. You have a variety of inputs, such as revenue, costs, expenses, tax rates, and more. From that data, formulas create the expected outputs. The outputs, such as cash flow and profitability, show how your company will perform as conditions change. Financial models are essential for calculating funding requirements. It also helps you plan operations in the short-term and understand how long your capital will last. You can create a financial model with an Excel spreadsheet, or you can find software that will help you. Who Do You Need to Create Your Startup Financial Model? It’s very possible that you, as the founder, are not the person that’s best qualified to create this model. You need a strong understanding of corporate finance, financial models, and spreadsheets like Excel. Many entrepreneurs who don’t have a strong financial background are tempted to skip creating a model at all. However, not having professional, presentable projections will keep you from finding funding and growing your business. If you don’t feel that you can create the financial model yourself from scratch, choose software that can help. You might also choose to hire a financial expert to create this vital profile. Once it’s done, you can easily change the inputs to represent various market conditions. It may seem overwhelming to approach a blank spreadsheet, so start by making some notes. Start by looking at your business overall and describe what you’re trying to accomplish. What are your goals with this financial model? How can you display your professionalism and that you take capital investment seriously? From there, you can choose a bottom-up or top-down approach. Start with several assumptions – perhaps 5 – 20 – and work out how they will play out over time. This is very helpful for making a decision about a specific business strategy or partnership. It can also help you show investors how your company will perform in various business environments. You start with the assumptions and work forward, allowing you to compare and contrast various options. Make sure that your inputs are separate from your calculations and outputs. You should be able to change input fields quickly and easily to see the results in the spreadsheet. If you have a specific goal that you are trying to meet with your company, you can use a top-down model to understand what you need to do to get there. You start with your goals, and then gather data to discover what’s needed to, say, have a successful Series A fundraising round. From there, you can work backward to figure out how much growth you need and what sales and marketing goals will get you there. As you create your financial model, it’s vital to avoid mistakes that founders often make. Here are a few to keep an eye out for. The goal of your model is not to prove how smart you are. In fact, if you confuse your investors, they will walk away from a deal. Instead, make sure everything flows smoothly and makes sense. You shouldn’t change an input and have investors wondering how you came up with your results. Instead, spend time in both the data and the design of the model. It should be logical and easy to follow. You should also have a key for defining important terms and abbreviations. The reality is that every company is different, and you can’t expect a financial startup model template for a manufacturing firm to work for a SaaS company. Instead, make sure you have a template or software that understands and fits your specific industry. That will help the inputs and formulas be appropriate for your business. You don’t want a one-dimensional picture of your company. Instead, be sure that you can present monthly, quarterly, and annual projections. Because your startup is in the early stages, it will be hard to know for sure if your assumptions are true. Include some scenario tables that show the impact of your assumptions being high or low. Once you create your model, it’s time to present it! Remember, your startup financial model is a part of your business plan. You’re trying to show investors that you have an intimate understanding of the numbers, have thought through multiple scenarios, and are a good steward of investment funds. As you share your model with investors and others, don’t be shy about presenting your key results in a persuasive way. You want to win a deal, just make sure you can back it up. 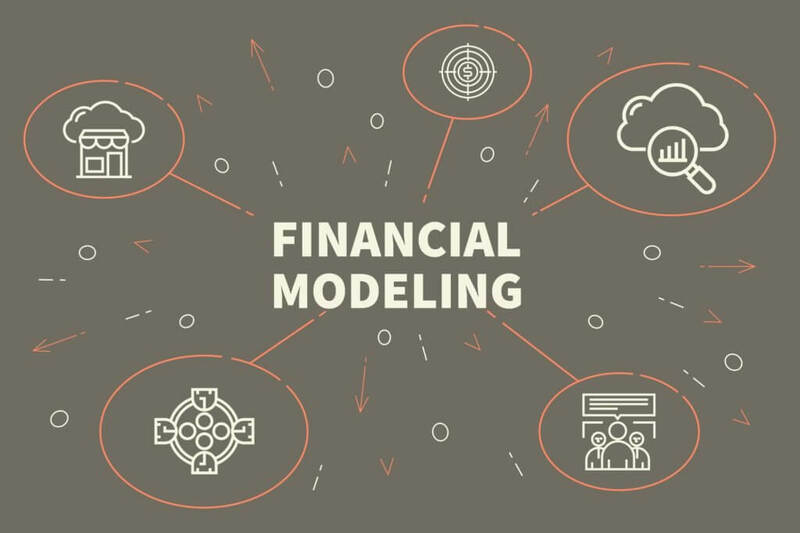 If you’ve had a financial expert prepare your model, or if you’ve used a template, make sure you understand the underlying assumptions and formulas completely before you present. You don’t want to be caught off guard by questions. Need more help getting your company off the ground? We’re here to help. Whether you need to register your business or make sure your business name isn’t already taken, we can help!